Tromso Winter adventure is a short winter break in Norway to the beautifully located Arctic town of Tromso; the “Northern Lights capital” of Norway. 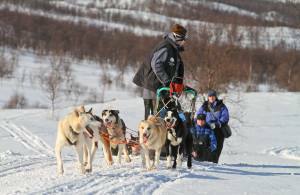 The break includes Dog sledding, Aurora husky visit, Aurora safari by coach & an Arctic gourmet lunch. 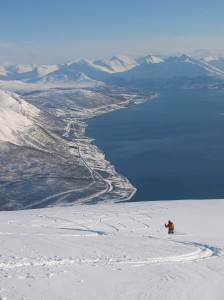 Add ons: You can replace a night in Tromso with a Wilderness camp stay, add nights & exciting activities such as Snowmobile, Reindeer sledge, Northern Lights dinner cruise & Snowshoe trip. 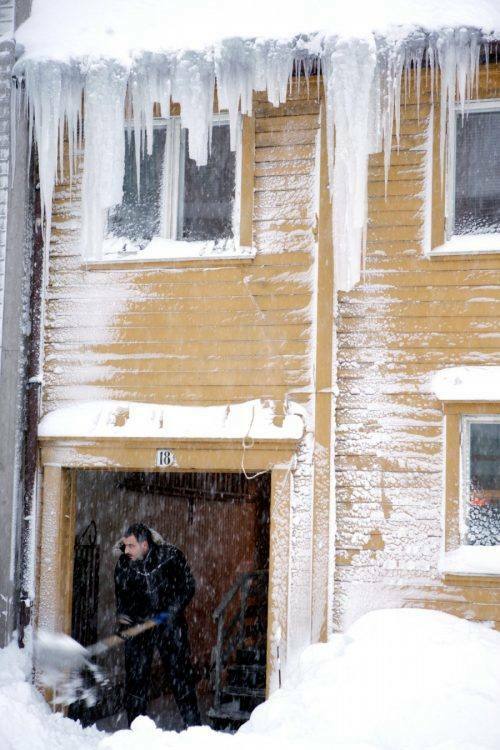 Individual arrival and check in to a centrally located hotel in Tromso. The airport is located only a 15-20 min drive from the city centre by the Airport bus or a taxi. In the evening the excursion bus picks you up in the centre of Tromso for a Aurora husky visit to Tromso Wilderness Centre, located at the Kvaloya island outside Tromso. The Aurora camp has a great location for viewing the northern lights, and you will also visit the dog yard. The trip includes transfers and a traditional evening meal served in a lavvo (Sami tent). Enjoy today’s lunch at the tiny, centrally located Emma’s restaurant, facing the wooden Tromso cathedral – within walking distance of your hotel. They serve fresh, local produce. Includes 2 courses. 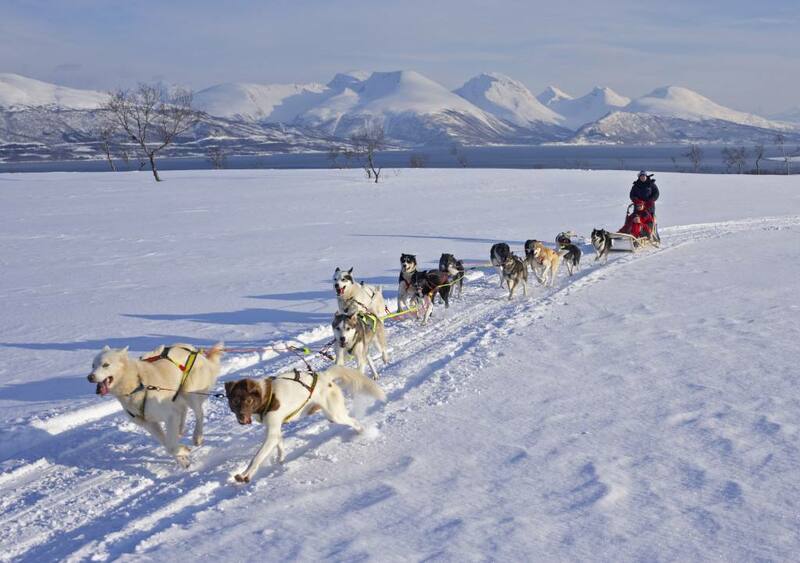 Evening Dog sledding & Northern Lights: The excursion bus picks you up in the centre of Tromso for an adventurous Northern Lights trip with dog sledding in the Tamok valley. 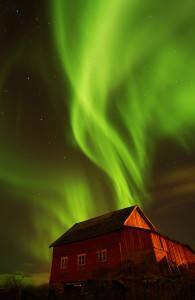 Due to the geographical location the climate is drier and colder than in Tromso, thus offering a maximum chance of seeing the amazing Northern Lights. The trip includes dog sledding activity, transfers, a traditional, hot meal and social time by the open fire in the Sami tent. Also included: insulated body suit, warm shoes, gloves, head wear & head lamp. English speaking guide. Time to explore the city, before the excursion bus picks you up in the centre of Tromso for a Northern lights safari by bus. Five base stations are set up at different locations, and the best one for the evening is chosen, depending on the weather & Northern Lights forecast reports. Each base has its own local English speaking guide, a warm shelter and camp fire. Northern lights film shown on the bus. Choose start date, room & number of persons, whereupon the prices will appear in the tour summary box.